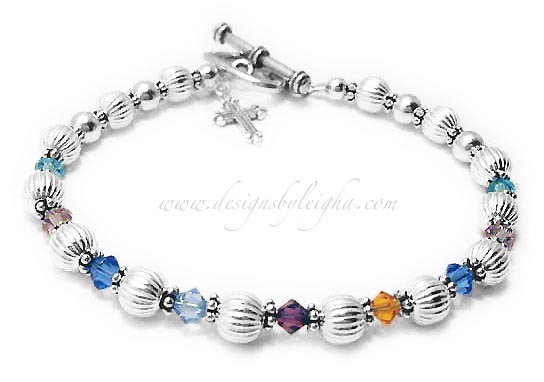 This gorgeous Birthstone Bracelet is shown with a Swarovski crystal birthstone dangle and Tree of Life Charm. The clasp shown is a Twisted Toggle clasp (free with purchase). 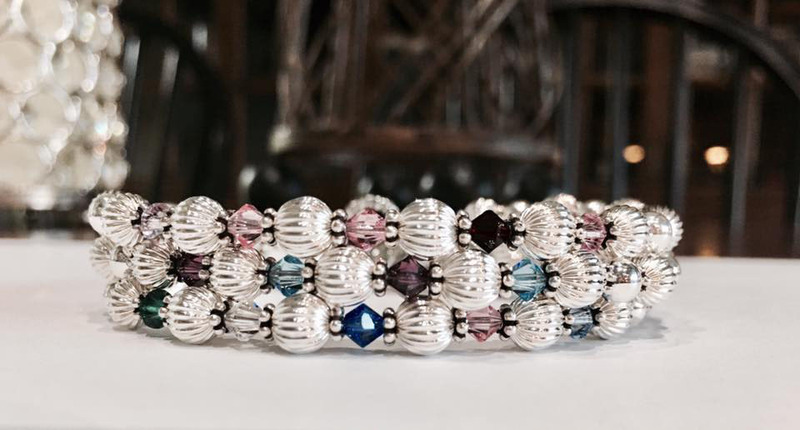 This is a one string bracelet with 9 Birthstone Crystals; March, June, September, December, February, November, September, June and March Birthstone Crystals. Please abbreviate when ordering e.g. Mar June Sep Dec Feb Nov Sep Jun Mar. They added a Fancy Cross Charm to their order. 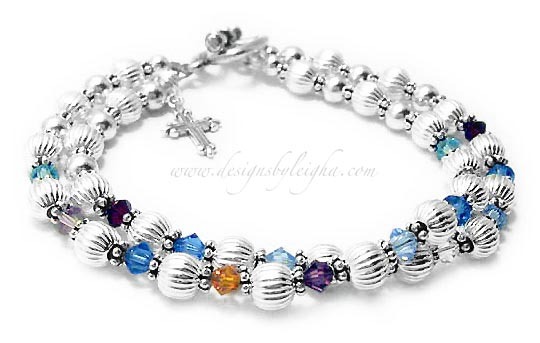 This is a two string bracelet with 9 Birthstone on the first string and 8 crystals on the second string. 1st String Crystals; March, June, September, December, February, November, September, June and March Birthstone Crystals. 2nd String Crystals: January, September, March, April, April, December, September and January.